Hi everyone! 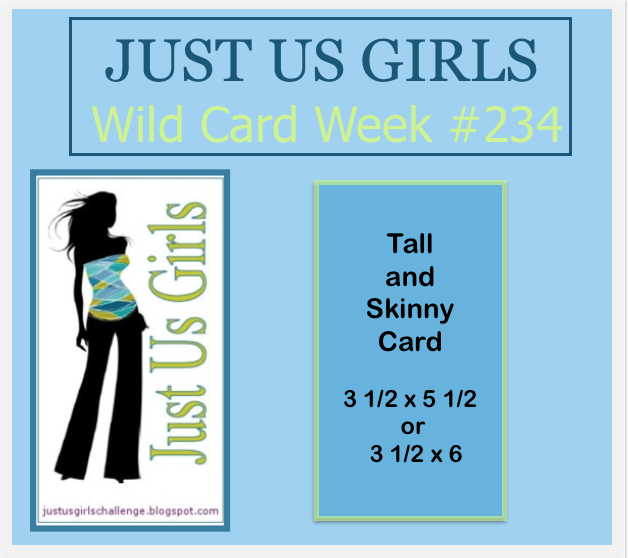 We have a Wild Card Week over at Just Us Girls! That means the hostess has the option to choose any type of challenge she wants. Marisa has chosen to have us make a tall and skinny card. This is my version. I wasn't sure which direction I was going with this, but I just kept going until I was happy with my water colored background. 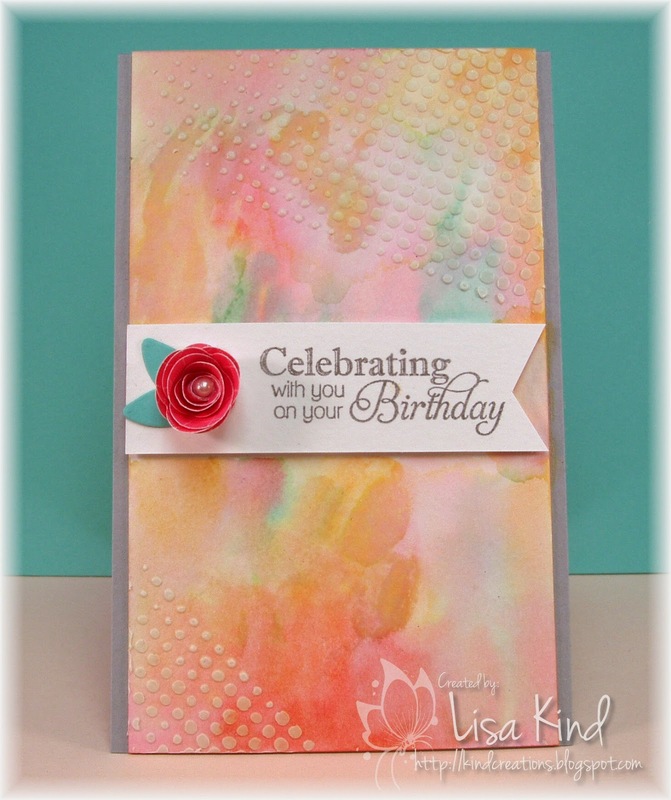 I used Tim Holtz water color paper and SU reinkers in Coastal Cabana, Cameo Coral, and Apricot Appeal. On top of that, I added some modeling paste using the Tim Holtz Dot Fade stencil. The flower was made with the mini rolled rose die (I have such problems making these flowers...don't know why!). The leaves were cut using a WPlus9 die. The sentiment was stamped in Smoky Slate ink and the base of the card is Going Gray and measures 3 1/2" x 5 1/2". 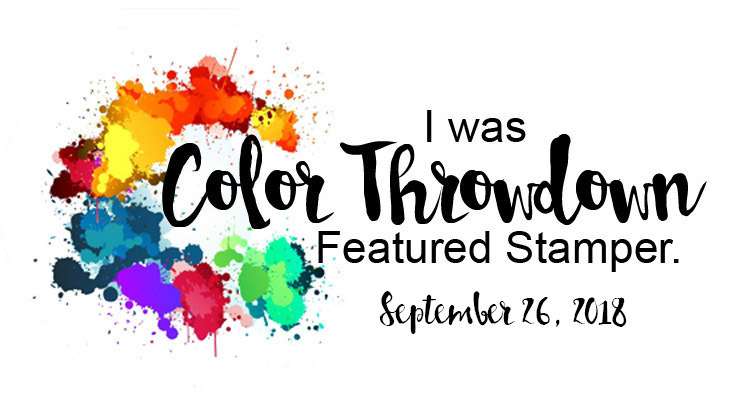 I got my color combo from this week's Colour Q challenge. I didn't have Calypso Coral, so I used Cameo Coral. You can see more inspiration on these blogs. I also want to thank Calypso for being out very special guest this month. She created some fabulous designs this month. It's time for the second Time Out Challenge. This time the challenge is called Home Sweet Home, and for this challenge we provide a photo from a part of a home for your inspiration. 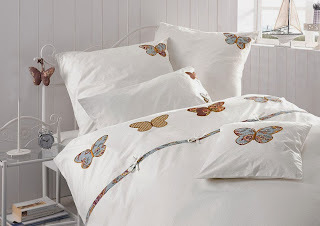 I love the clean look of this bedding and those butterflies are just so beautiful! I went very CAS with my card. But just because it's CAS, doesn't mean it's a 1-2-3 card! I had to do the main panel at least twice before I got it right on this one. I was using a new bottle of Tombow mono multi glue and it was getting everywhere and leaving spots on the white card stock! Then I tried using a new SU chocolate chip ink (I don't like the new pads) and ink got on my hands and invariably the card! Anyway....I finally got it right with no (visible) spots! 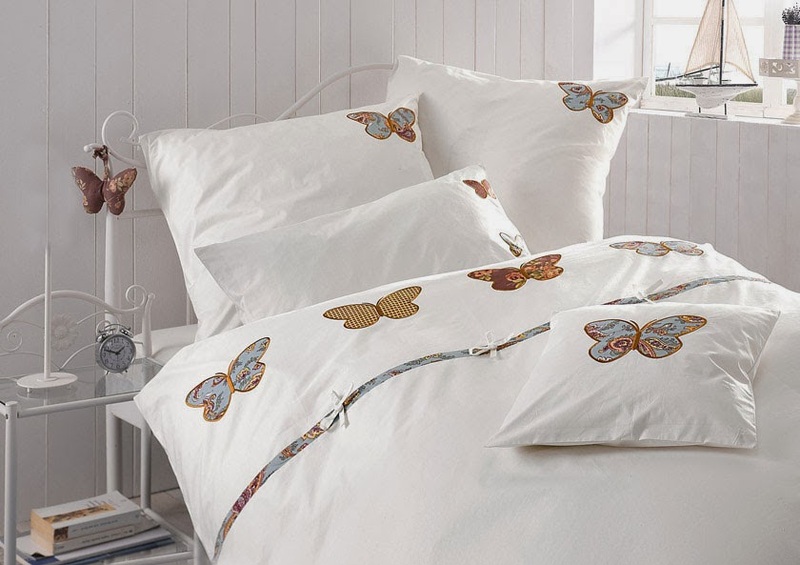 I stuck with the patterned butterflies you see on the spread and that little strip is like the edging on the spread. 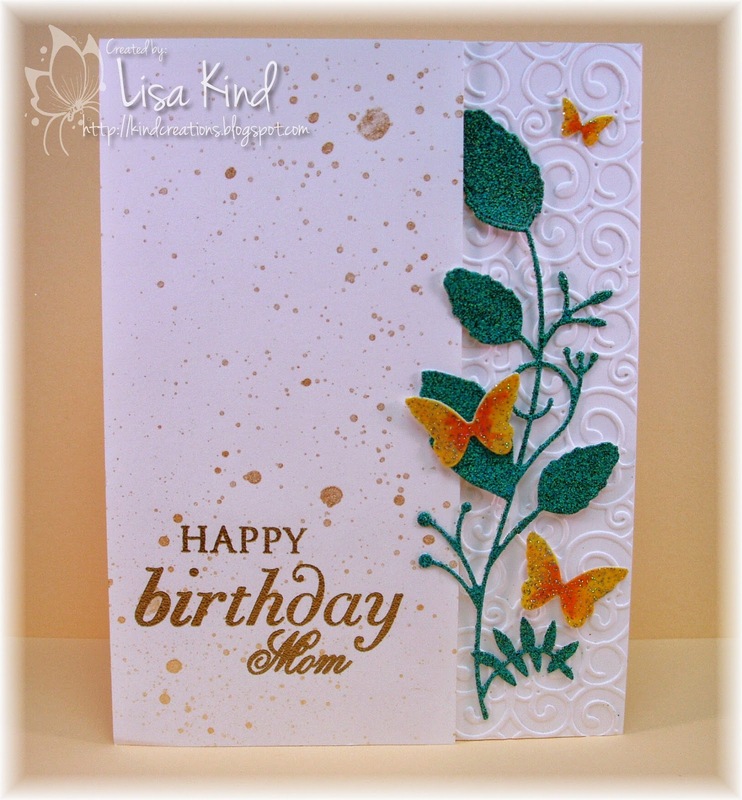 The base of the card was run through the linen impression plate for a little bit of texture. I added some shimmer with the Wink of Stella brush. 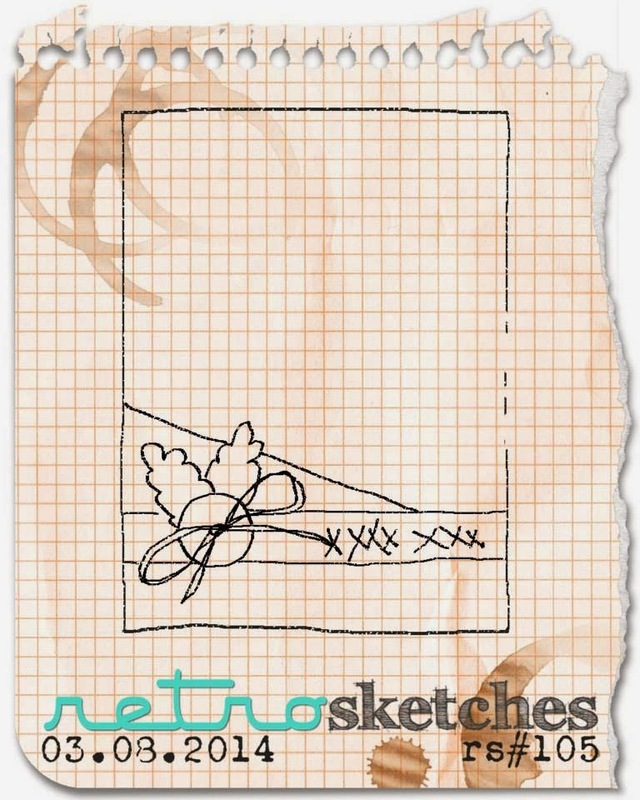 This is the sketch I used from this week's Retro Sketches. Loved it! So different! 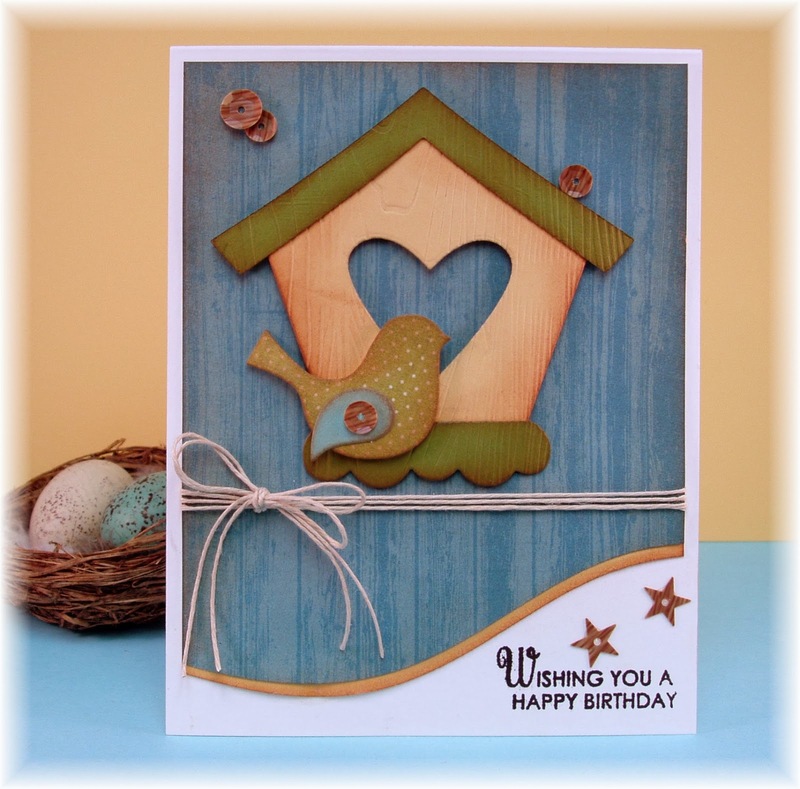 You can see more fabby designs from the Time Out DT at these blogs. This challenge is on a two week run, so you have lots of time to link up! Hope to see you taking the Time Out to play with us! Thanks for stopping by! 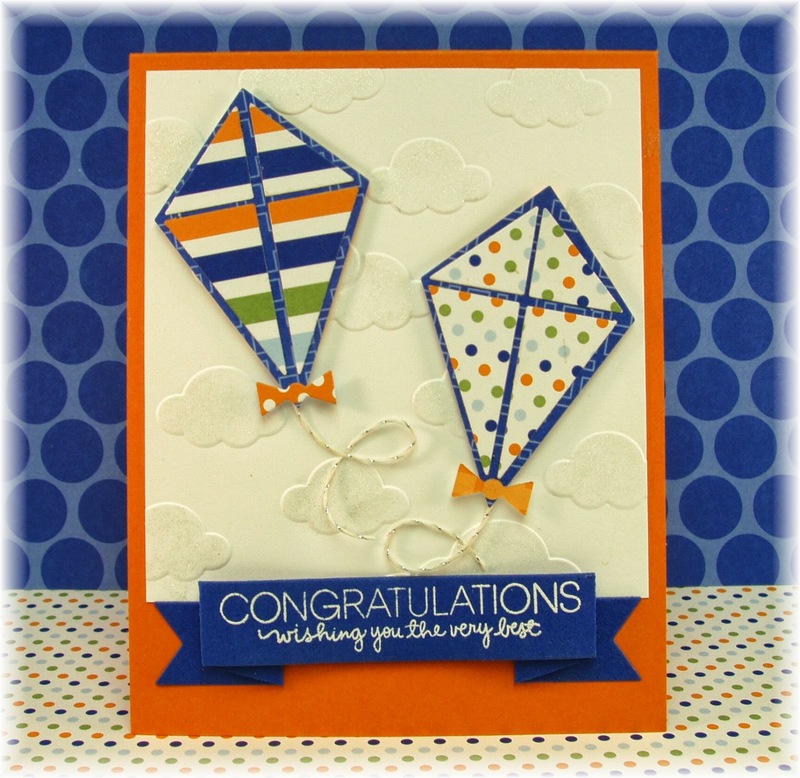 I chose to go with the colors and another thing that flies...kites! I've had this kite die from MFT for quite a while but never used it. I cut it out using a retired paper from SU called Jersey Sho﻿re. I've always loved the colors in this paper and the patterns. The white piece was run through a cloud folder and then the clouds were covered with some Wink of Stella shimmer. To get the string to loop, I just put some multi matte medium on it, looped it, and let it dry. The rest is pretty self-explanatory. You can see more the design team on these blogs as well as our Guest Designer. Yesterday was my mom's 85th birthday! Today we are celebrating at my house with just the grandchildren and my husband and me. I wanted to make a special card for her and remembered I had this die. 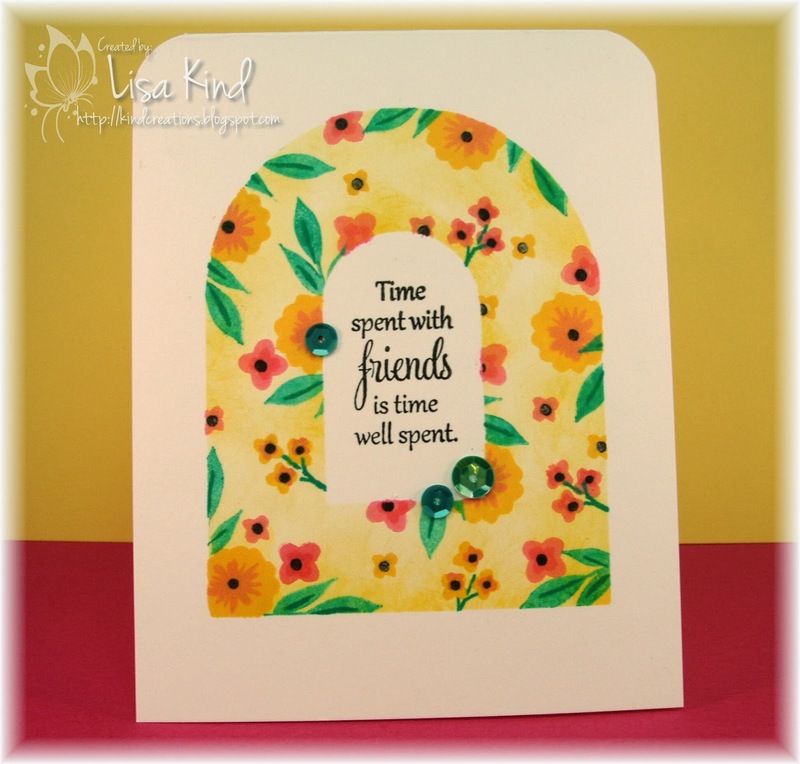 I purchased it after seeing a card Jennifer McGuire created for the Summer Card Camp class from Online Card Classes. I just had to have it, but of course, it has never been used until now! I cased the card Jennifer created with a few changes. The die was cut from white card stock that I doubled up for more stability (this die is very fragile). The butterflies are attached at different places on the die, but I cut them off so I could place them elsewhere. I covered the die with Versamark ink and Verdigris embossing powder. I did this twice. I ran a piece of card stock through an embossing folder and adhered it to the card front. I cut another piece and embossed the sentiment on it then sprayed it with gold mist. 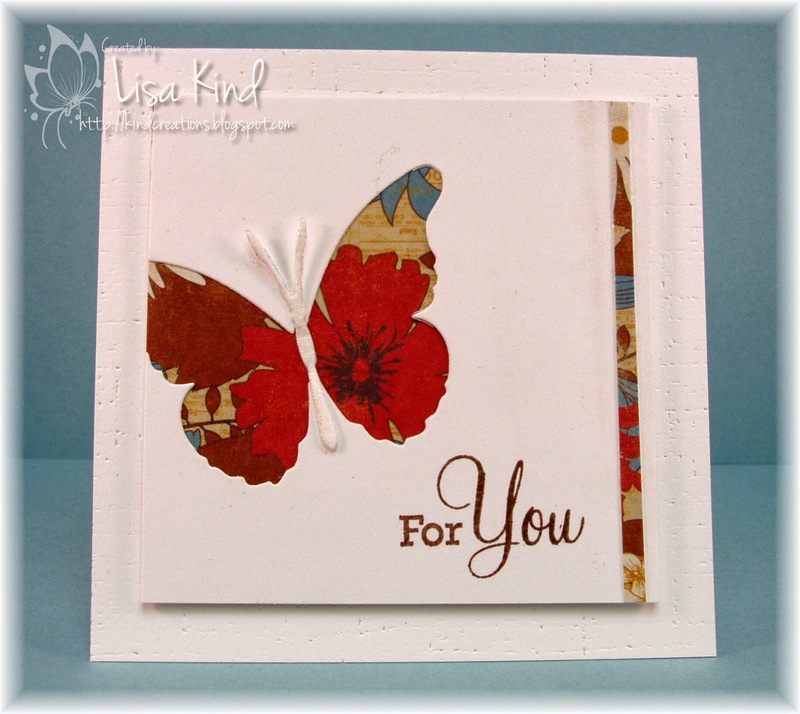 The butterflies were colored with copic markers and then embossed with a hologram embossing powder. It's very sparkly in person. That's it! Thanks for stopping by! I'll be back tomorrow with a Just Us Girls photo inspiration challenge! See you then! Hi everyone! 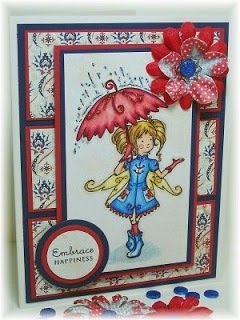 The new Time Out Challenge is in it's second week of the Dancing in the Rain challenge, and I thought I'd share another card that fits this challenge. I made it eons ago, but I didn't have time to make another and I always loved it so I thought I'd share it with you. 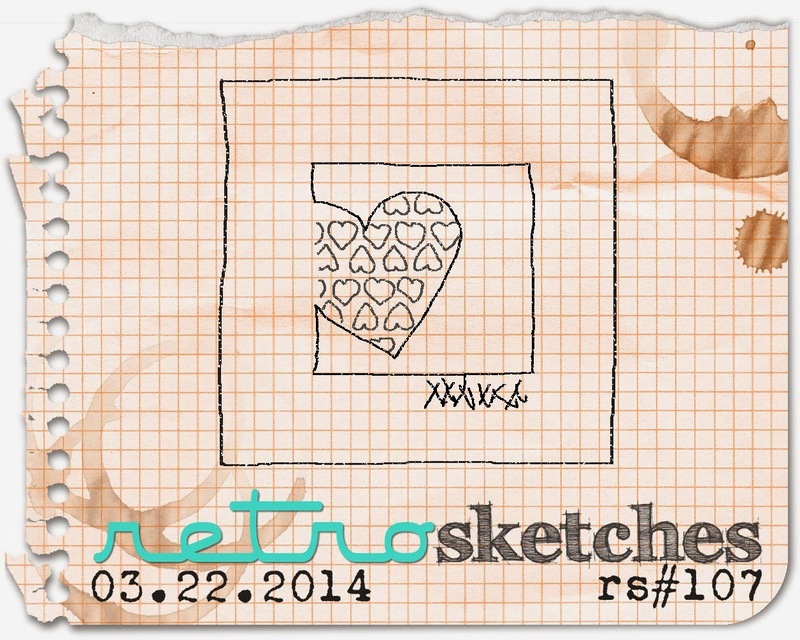 This is a stamp from Paper Makeup Stamps, but I think it only comes in a digital format now. It's called Emma Fairy. It's colored with copic markers, which I really don't do much of anymore. I really need to get back to that! I think the paper is Basic Grey. Some of the girls have posted new cards for the challenge too. 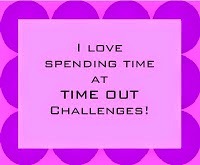 Stop by the Time Out blog to see them and play along. Hi everyone! 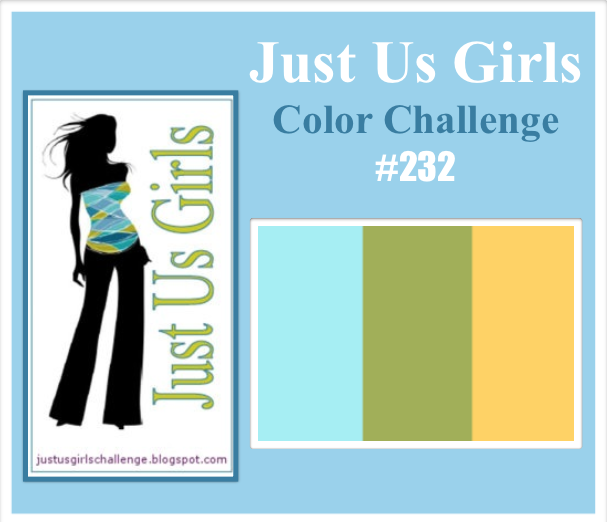 The challenge this week over at Just Us Girls is a color challenge. 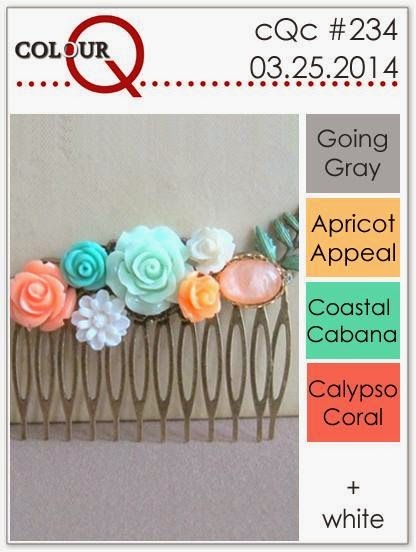 Cheryl is our hostess and chose these fun spring colors! I'm longing for Spring to appear here in Western New York. We just had a snow storm on Wednesday (like most of the northern part of the country) and a snow day to go with it. The second week of March should start showing signs of Spring, like birds returning to birdhouses. So I chose this die set from My Favorite Things to get me into the mood. The pieces of the birdhouse were impressed with a wood grain impression plate and the edges inked with tea dye ink. The bird was die cut from pattern paper and the background paper is also pattern paper. I used a Paper Smooches die to get the curve bottom. I added the sentiment, twine, and wood grain sequins to finish it off. I used this sketch from Fusion, but realized after I made it that the challenge was closed! Oh well, I really liked the sketch! Our first challenge is Inspired the Words: Dancing in the Rain. 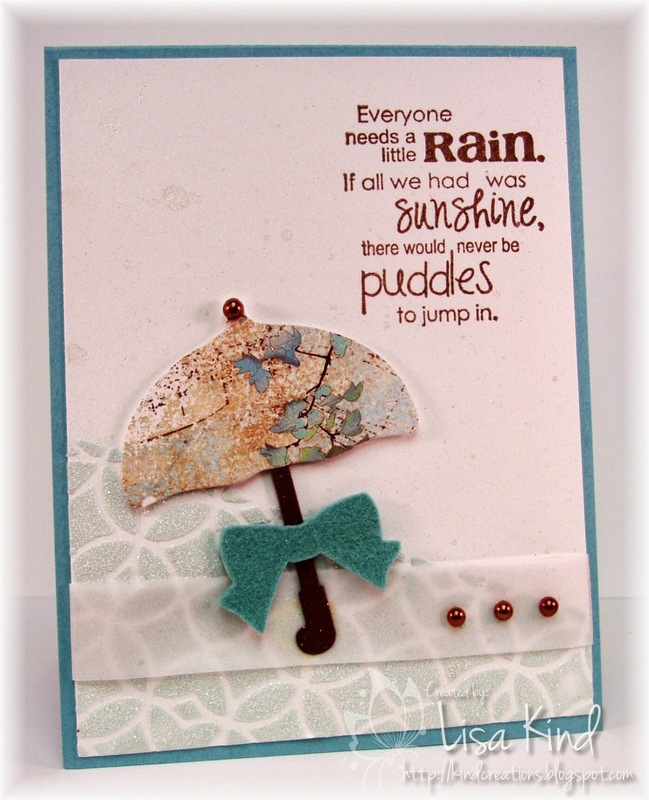 I chose this old stamp from a Paper Makeup Stamps set called Raindrops and Rainbows. I thought it fit the challenge well. I started with some modeling paste colored with distress ink and spread onto a stencil from Tim Holtz. While it was still wet, I sprinkled on some Martha Stewart glitter. The umbrella was first cut from pretty paper by Memory Box called Minuet. I've had it for quite some time and this is the first time using it! I then cut the handle from chocolate cardstock and added a felt bow. I loved this sketch from Retro Sketches when I first saw it, and I had another idea for it that I still may play with if I find some time! We hope you come out and play with us in our first challenge and beyond! Stop by these blogs from the design team to get more inspiration, then over to the Time Out blog and enter your creation! Thanks for stopping by! 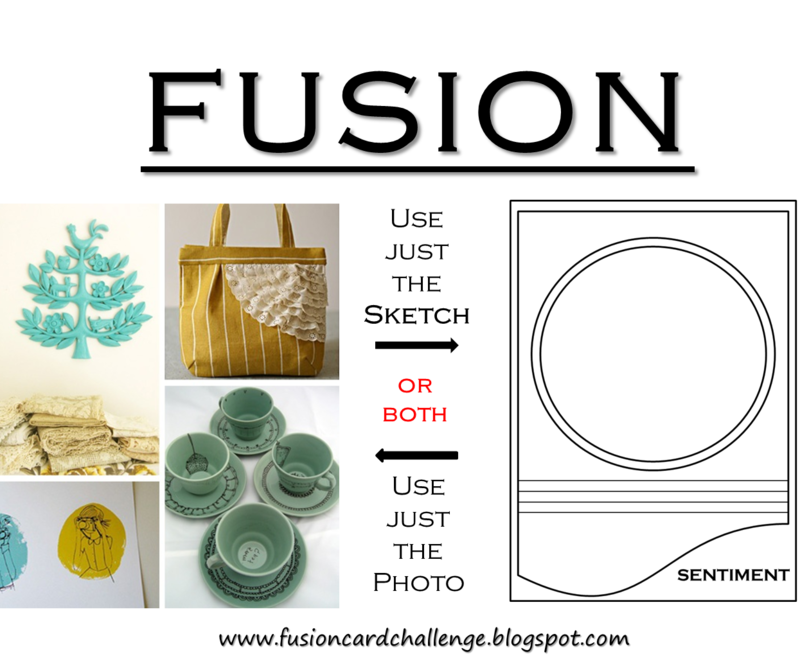 I hope you play along with us this week! Hello! I had a snow day today, so I was able to get inky for an hour or two. 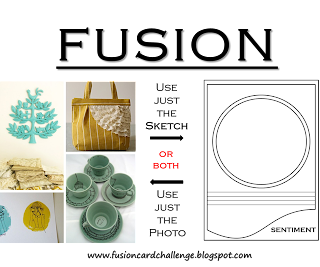 I'm taking the Clean & Simple Card Making class from Online Card Classes and I just LOVED what the girls showed us today. I was intrigued by the masking techniques that Jennifer and Laura did and it was surprisingly easy to recreate. 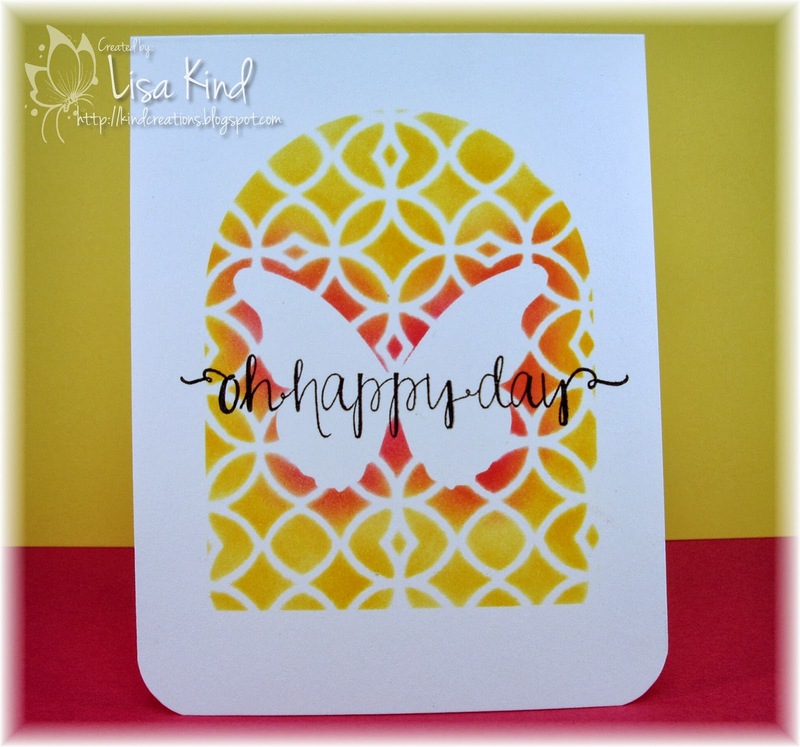 Jennifer used a mask and a stencil on one of her cards, and since I love stencils I decided to try that for my first card. I used some Eclipse masking paper and the die to die cut the opening. Then I die cut the butterfly out of the middle of that. I put the stencil on top and sponged two different inks over it. It's really cool when you remove the stencil and masks to see the design that's left! The sentiment was stamped after everything was revealed. This card is almost an identical case of Laura's card. 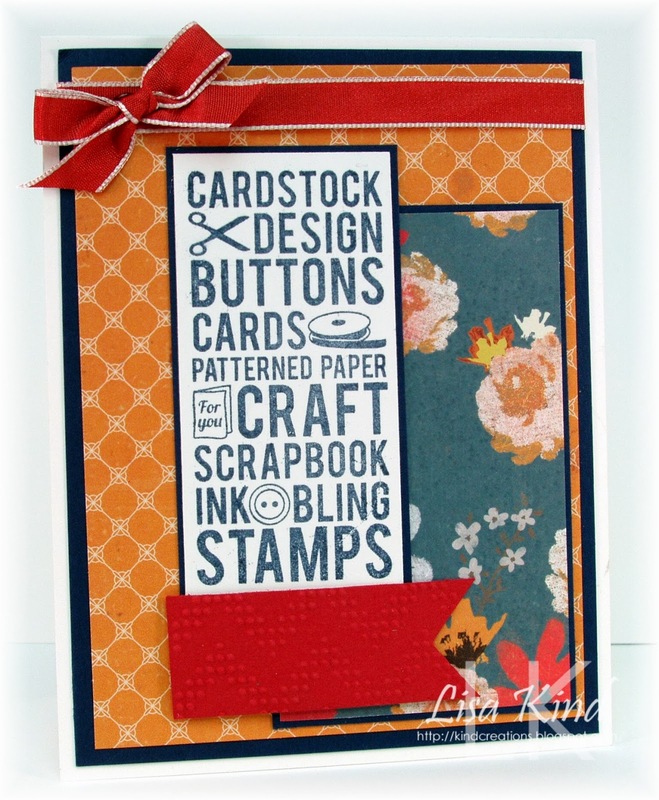 I've been itching to use this new to me background stamp from MFT. 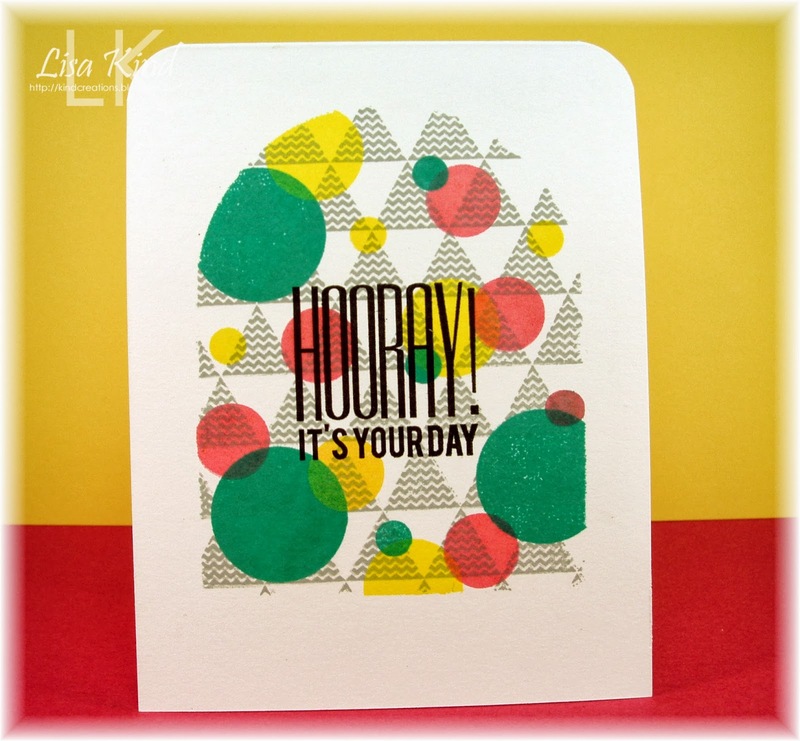 I stamped it in gray ink and then used various inks with various size circles. I just had to use the yellow and green Color Theory inks which I just purchased from Studio Calico. 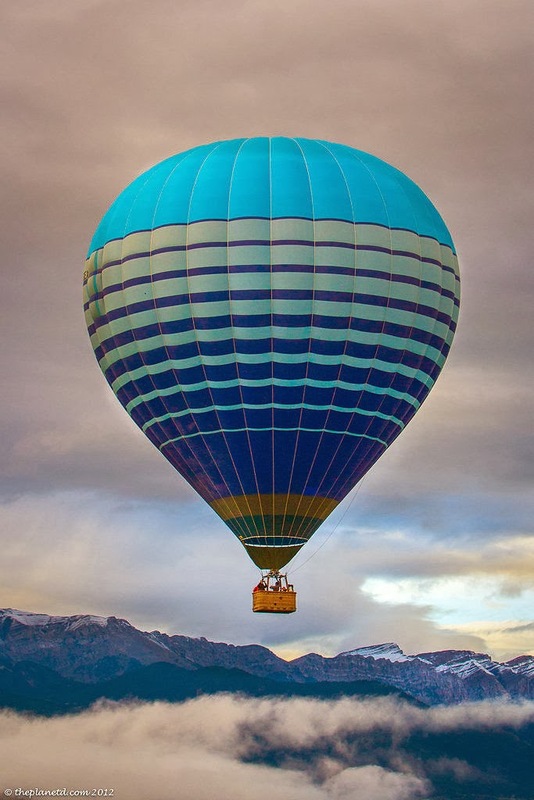 Just beautiful colors! I used the same mask as in the previous card. These were such fun to make and so simple to achieve these looks. I love these classes because I have access to them forever. I do go back and look at some of the techniques they've taught in other classes, so they are worth the money (which really isn't all that much!). Thanks for stopping by today! Make sure you stop by tomorrow because there is a new challenge in blog land called Time Out Challenges and I'm on the design team! I think you'll like the challenges we have planned for you! 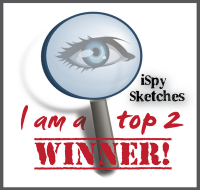 I'm looking forward to you stopping by to see what it's all about! Hi friends! Can you believe it's March 1st? And it's STILL COLD!!! When is the warm weather going to come back? I love winter and the cold, but this was a looonnngg winter! 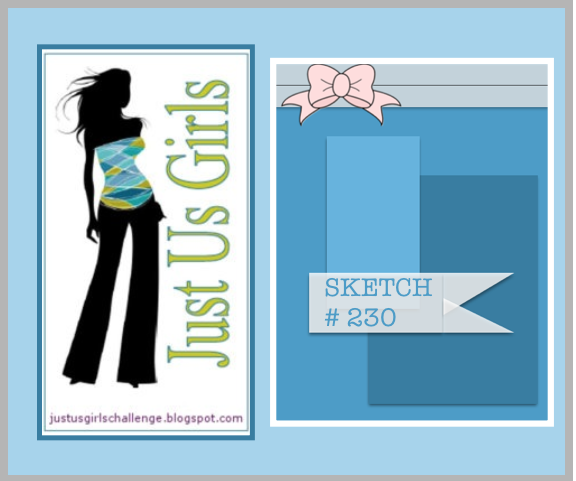 Anyway, since it's the first Saturday of the month, that means it's Sketch Challenge week over at Just Us Girls. Vicki created a fun one for us! I went very literal with the sketch as usual. When I saw the panels, I knew I wanted to use this new stamp set I just purchased from Fresh Squeezed Stamps called Paper, Scissors, Ink. The paper is new as well. I love the color combo, but I wish my flag was a little longer and narrower! Hindsight, right? We have a new guest designer for March and that is Calypso. We are so happy to have her join us this month! 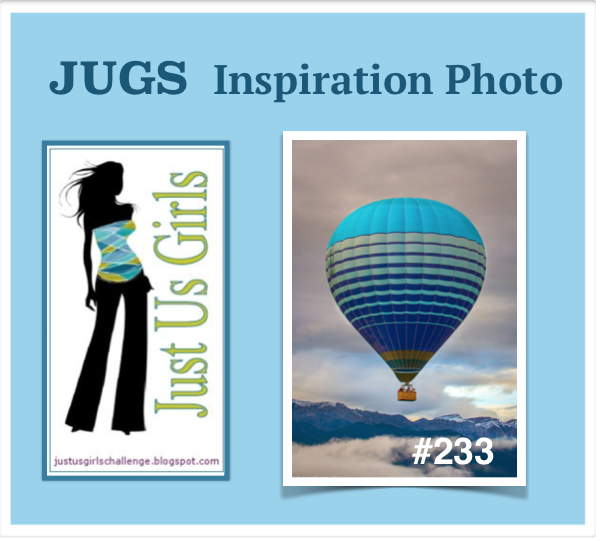 You can see more inspiration from the JUGs DT at these blogs.